TBS is a family owned and operated business that has been proudly serving our customers since 1994. Our services are designed to provide the best in high quality window treatment installation that you will be proud to show off to family and friends. Our unique system of working with our customers allows you to have an experienced, knowledgeable professional provide sound advice and guidance in choosing the right treatments for your needs. 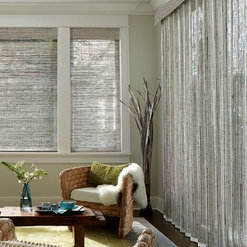 WE PROVIDE A WIDE RANGE OF WINDOW TREATMENTS THAT INCLUDES THE FOLLOWING; Blinds Shades Curtains Drapes We offer the best in all types of window treatments that will create the best appearance for your home while staying within your budget. Our goal is to listen to your needs so that we can provide the best services possible. Our reputation is built on providing the best in customer services and we strive to maintain that reputation each and every day. 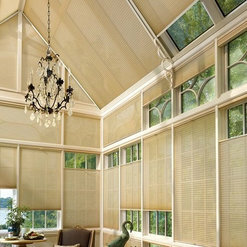 Perfect work done by the blinds and shades company. Few days back I got roller shades in home from A & M window treatment. The installation process went smooth and their worker finished up the whole task on time. Top-notch company for all type of window décor and treatment!! The only company name comes in my mind for window treatment. The service representative who visited to our house was very helpful and cleared all my queries regarding blinds, shapes colors and fabric. He even suggested the perfect blinds for my kitchen windows to overcome the light problem. 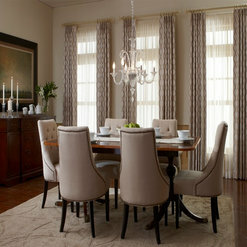 A & M window treatment guys worked efficiently to make their customer happy! We ordered a honeycomb shades that gives the splendid look when finished properly. It has added more beauty and brightness in the living space. Thanks for the ultimate services and product. We are planning to install unique fabric in the other rooms shortly. Great company to deal with! 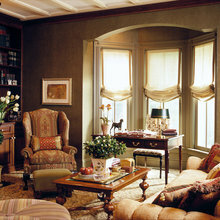 I really love the way my window décor came out which couldn’t be possible without A & M window treatment professionals. The crew just visited and planned whole thing in minutes. Thanks for giving more appealing glance complementing with the room décor that I could never envision. I will definitely be calling you back to finish other windows as well. Had a fantastic experience with the staff of A & M window treatment. They made it painless from the beginning till end. 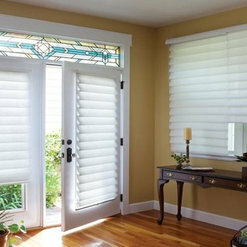 I called up the company for the new blinds and they responded so well promising to deliver my product asap. Thanks guys for your expertise over the phone. It was truly appreciated. Appreciated work done by the A & M window treatment crew. After looking at my window coverings, I think dealing with them was the perfect decision. 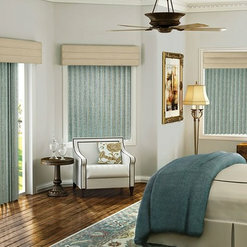 I selected pleated shades for more exquisite look and could feel the outside freshness. 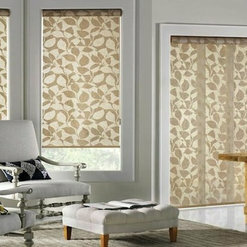 Great range of shades and blinds are available for all type of window décor. 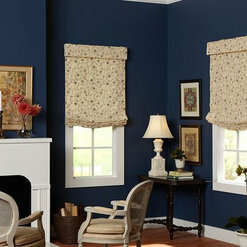 A & M window treatment really offers a quality service for window decoration at affordable cost. Every product available there, possesses a unique characteristics and features. We recently bought new drapes and curtains that add more lavishness at my master bedroom. Great team and great job guys! Excellent service and products! I am impressed with their collection especially the Luminette and soft shades that looks decent and different. 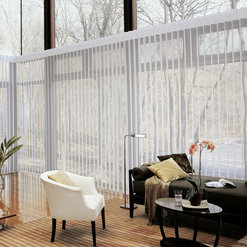 Amazing window treatment for those who are facing the problem of sunlight and heat at their places! 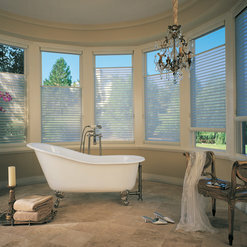 I was looking for beautiful window treatments done my home. My friends recommended these guys and they did fabulous job. From the initial appointment to the installation, everything went smooth. Good job. When we moved into our new home, we wanted Aluminum blinds that harmonize the design and feel of our surroundings, A & M Window Treatments were recommended to us by our neighbors. 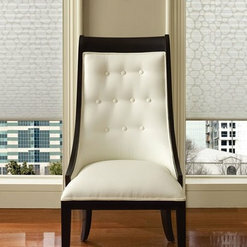 Aluminum blinds were unrivaled robustness with style to match. We are happy with their product quality. They offered a professional, helpful and friendly service. We now happily recommend their name to other people. Mark was great! Completely professional and friendly. He had great suggestions and helped me figure out what would look best for my space. The quote he gave me was lower then the others i had receive as well. The installation of 6 electric roller shades was quick and thorough. I would definitely recommend Mark to anyone who wants great service at the great price. I highly recommend A & M window fashions to any one who is looking for a window treatment company that truly cares about their customers! Among the various companies that I contacted, A & M was the first to reply back and gave me a few detailed options for situation. I am a college student with a budget and looking to find something that would best block the sun since my bed is by the window. After receiving email of options from Mark the owner he immediately called me personally the next morning to see if I have questions. We had a quick talk through the phone and he then gave me the best option for my situation and took into account of my sleeping issue. When he came to do the measurements, he talked to me as if I was his daughter. None of the other companies considered my sleep. The other companies only gave me prices and options. Some did not even come to take accurate measurements. Thanks to A & M my window treatment were installed and i sleep very well everyday. 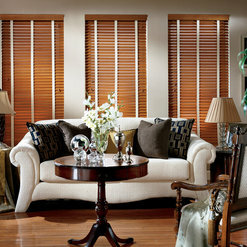 CHOOSE A & M window fashions and ask for Mark.